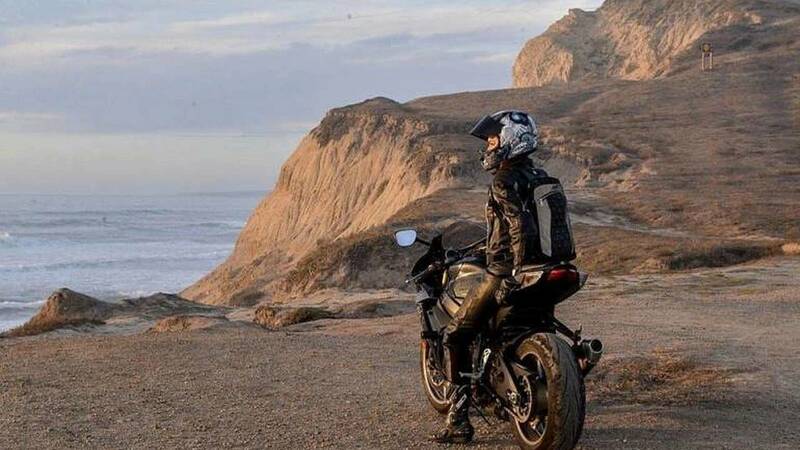 A recent report tries to get a sense of how to save motorcycling in the United States. And there's more to it than just appealing to Millennials. A group of industry insiders, riders, marketers, moto-journalists and enthusiasts has sat down to try to work out how motorcycling can save itself from the slow decline it’s been experiencing in the United States. The fact that the US market is losing relevance is no secret and has been the subject of countless think pieces in recent years, with most deciding to blame Millennials or Baby Boomers for Every Bad Thing, depending on the author’s age. Identifying, however, that these articles fail to grasp the issues in a serious way, former Indian/Victory PR head honcho Robert Pandya recently put together a group of 25 men and women, which included such illustrious names as former Motorcyclist editor Marc Cook, Motorcycle.com’s Kevin Duke, and custom builder Brian Klock, as well as RideApart contributor Leah Misch. The group generally felt the biggest issue facing motorcycling is not a lack of products, but a lack of consumer desire to purchase those products. In other words, although the panel agreed it would be nice if manufacturers and the moto press gave more love to smaller-cc newbie-friendly bikes, it generally felt there was a bigger problem in finding enough butts to put on those learner-friendly seats. That Millennials don’t appear to love bikes as much as their grandparents isn’t really news. And like many industry observers, the group struggled to identify the major reasons as to why this is happening. (Perhaps the reason no one can really figure out why Millennials think as they do is that Millennials don’t think collectively; like the generations before them, they’re just a bunch of people born within a certain timeframe.) Still, the group felt that excessive debt plays a big part – an assertion supported in the “Motorcycle Sales in the Slow Lane” report. “hile some lament about how best to coax Millennials into a desire to take on the sport, others argue that it’s not the young people’s passion for powersports that has disappeared but the monetary means,” states the report. The roundtable discussion also felt that challenges have been created as a result of the different ways in which the Millennial generation tends to socialize. Meanwhile, members of Generation X – broadly defined as those born between 1965 and 1980, and in many cases only now coming into the sort of money that would allow the purchase of big-ticket leisure items like motorcycles – have historically been overlooked by the industry. The group hints at the unfortunate missed opportunity this has created. Members of Generation X seem to possess a greater sense of wanderlust than their parents. Ignored by the motorcycle industry, however, they have instead invested in bicycles, vans, side-by-side vehicles, jet skis, and so on. Meanwhile, the report also acknowledges that Baby Boomers, although fast aging out of the market, remain an important demographic. Within this reality, the group felt a greater sense of acceptance should be fostered toward three-wheeled vehicles. Fully self-driving cars will be a reality on our roads very soon. In many ways, this is a good thing. One day, you and I, like every other human in the history of the planet, will be old and busted. Our reflexes will be shot and we’ll have all the responsiveness of basset hounds on quaaludes. However, being old and busted doesn’t magically eliminate your desire to eat at Cracker Barrel. Indeed, scientists have found that with each year a person ages past 60 his or her ability to resist cheap catfish and bottomless glasses of iced tea decreases by 70 percent (I may have made that up). At present, this means old and busted people get in their cars, endangering themselves and others. In the not too distant, future, however – possibly as early as 2020 – the cars will be able to do the driving. But this glorious robot future is not without its problems. One of them is the fact that, so far, the technology that will drive our cars has struggled to identify motorcycles on the road. The report identifies this challenge and suggests existing lobby groups, like the American Motorcyclist Association, lack the teeth, knowledge, and will to properly fight motorcyclists’ corner. The report suggests motorcyclists need to start seeing themselves as part of a larger group of vulnerable road users, joining forces with bicyclists and the like to ensure we’re a part of traffic planning. Within that, the group also said motorcyclists need to be willing to adopt new technologies that will make us more visible to self-driving cars. 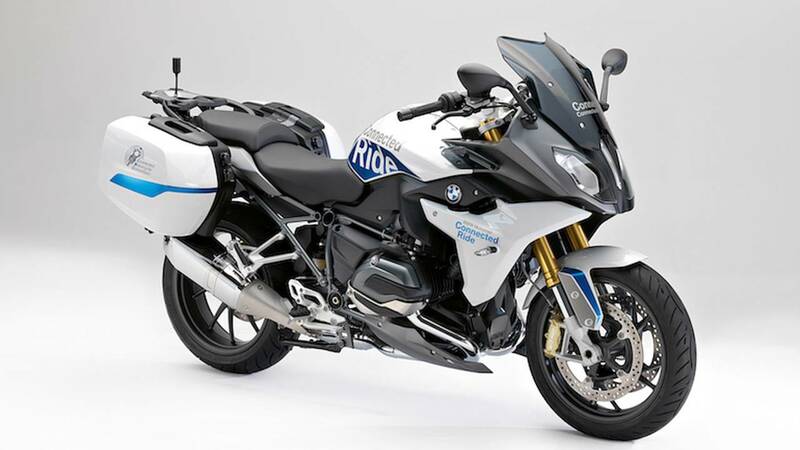 Manufacturers like BMW are already developing bikes with V2V capability; consumers will need to support these moves by providing the financial incentive for further development. The group felt that one of the most critical actions necessary to improving the state of motorcycling is encouraging more women to take part. However, the group acknowledged that making that happen is easier said than done. Motorcycling has long been male-dominated, so it’s clear that the traditional techniques for encouraging new riders aren’t going to work. The group points to events like Babes Ride Out and Harley-Davidson’s all-female training programs as possible examples of how to affect change, but says that female outreach needs to be taken seriously by far more manufacturers. The general feeling is that, by and large, the industry is shooting itself in the foot with its failure to more effectively welcome women into the fold. Again the report suggests three-wheelers may be of benefit in expanding awareness and acceptance of motorcycling. As I suggested in my own review of the 2017 Can-Am Spyder F3, these vehicles have the potential to allow women to circumnavigate some of the entrenched sexism that persists in motorcycling. 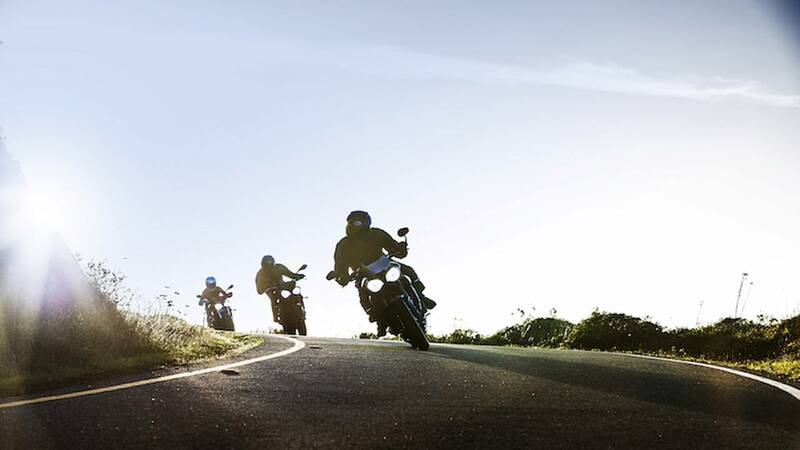 The report identifies the fact that most motorcyclists don’t tend to share their enthusiasm for riding as much as perhaps they could or should. The panel said it would like to see more motorcyclists serving as ambassadors. “If just 20 percent of current riders were able to bring a new rider into the mix every year, the shift would be dramatic,” the report optimistically states. Within that, the panel feels that more motorcyclists should be educated on how to behave responsibly on a motorcycle, as well as “call out” those who portray motorcycling in a negative light through their actions. “Most current motorcycle dealerships are a far cry from the modern retail presentation that current consumers are used to,” explains the report. 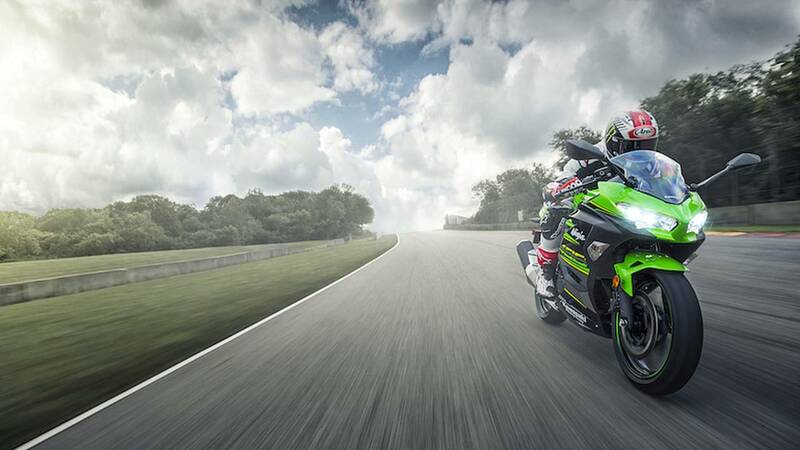 In other words, members of the panel felt that dealerships hurt themselves – and, by extension, motorcycling in general – by operating in a way that feels outdated to many new and potential riders. One observation is that sales floors tend to be overcrowded, which can lead to a feeling of information overload for consumers and uncertainty as to where to start. Additionally, the group identified dealer attitudes as counterproductive, especially in the midsize and lower segments. The prevailing attitude of treating these machines as nothing more than a stepping stone toward becoming a “real” motorcyclist makes them undesirable. When, in fact, many riders would enjoy motorcycling far more if they were paired with a vehicle that legitimately suited their interests and abilities. Attached to the dealership experience, many panelists felt that the current state of rider training could also use some work, with more emphasis being placed on the fun of riding – rather than overemphasizing all the horrible things that could happen. The panel suggested “pre-training” initiatives that encourage people to seriously consider riding. You really have to give Pandya credit for assembling a solid team of men and women who represent where motorcycling has been and where it is right now, then focusing them all on the task of where motorcycling needs to go. No one else has really made this sort of effort (I’m looking at you, American Motorcyclist Association), and I hope this won’t just be a one-time discussion. One topic for future discussions, however: race. The roundtable group had only one black participant: Porsche Taylor of Black Girls Ride magazine. If you’re a Trumpzi you may not see the problem there, but just as the discussion group identified that the industry’s attitude toward women needs work I’d say the same could be said of how it interacts with folks who aren’t white. Off the top of my head, the only manufacturer I can think of that’s done any obvious outreach to minority communities is Harley-Davidson, through its “Harlista” and “Iron Elite” efforts a few years ago. The online presence of both those efforts has disappeared, including the 90-minute documentary Harlistas: An American Journey, which is a shame – especially since these efforts don’t appear to have been replaced by anything. Meanwhile, I wholeheartedly agree with the need to encourage and welcome more women into motorcycling. 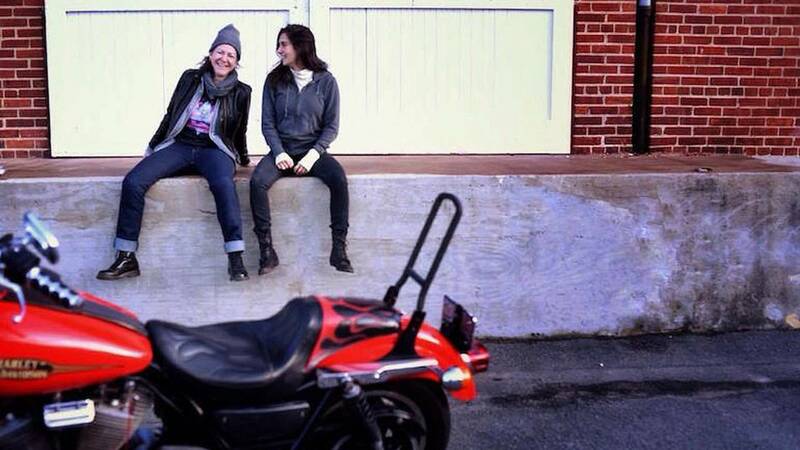 As director of RideApart, I’ve made a conscious effort to present as many female voices as I can – Laura Llovet, Jessie Gentry, Heather L Johnson, Leah Misch, Kyra Sacdalan, and Sasha Rojas among them. I’d wager that you’ll find more female voices here than on any other mainstream site. Doing this has backfired on us once or twice, with people occasionally lambasting me as a social justice warrior, but it’s a hill I’m willing to die on. The power of RideApart to effect some of the change being called for in this report is something that I think about a lot. Some of you may know that I credit RideApart – in its old form of Hell for Leather – with encouraging me to return to motorcycling roughly a decade ago. I got my license in 1994, when I was 18 years old. Back then, of course, sites like RideApart or Bike Exif or Common Tread didn’t exist. 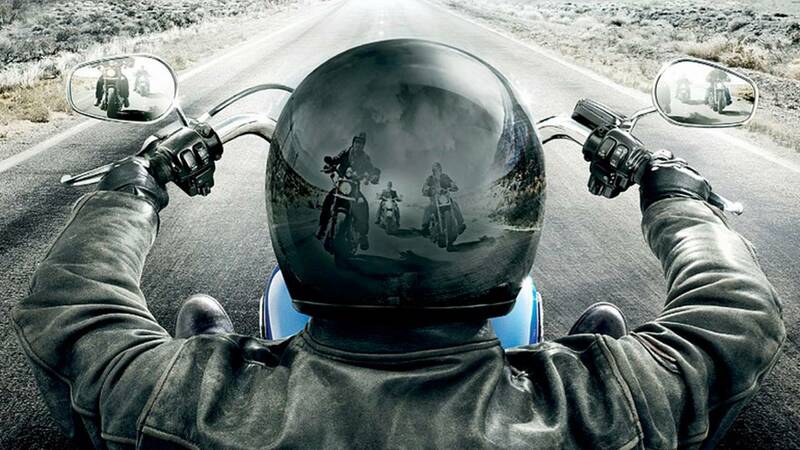 So, my picture of what motorcycling was and could be was shaped heavily by the riders around me. In suburban Minnesota, that predominantly meant dealing with casually racist, white, big-bellied men my dad’s age who felt that helmets were for pussies. I hung in there for a few years – trying to do my own thing – but with no family or friends that rode, I ultimately gave up on motorcycling. Hell for Leather brought me back. It introduced me to different genres and different attitudes, helping me realize there’s more than just one way to enjoy two-wheeled life. I consider myself insanely lucky to now be sitting at the helm of this site. RideApart these days has far greater corporate concerns than it did in its Hell for Leather days, but I’d like to think we’ve held onto the philosophy that all two-wheeled things are good, and that everyone – no, really, everyone – is welcome to experience that goodness. It’s that latter aspect that I think needs to be emphasized when trying to attract women, minorities, and younger riders. My concern is that it’s not the bikes that are undesirable to Millennials and Generation Z, but the people they see riding them. Related to that, existing motorcyclists, manufacturers, and organizations should consider whether what they see as appealing is, in fact, offputting. If I’m a modern American young person, for example, I probably have very little interest in wrenching my own bike. I probably live in a city, so suggestions of learning in the dirt are useless. Racing is equally unappealing – watching or participating. In other words, A LOT of out-of-the-box thinking is required to spark the interest of new generations. And a good deal of that different thinking needs to happen in dealerships. Though, perhaps that will need to be achieved through conformity. Harley, Indian, and – to a lesser extent – Triumph may be leading the way here in pushing toward a homogenized dealership experience. If you go into an Apple store in San Francisco it’s very much the same experience as when you go into an Apple store in London. For good or ill, this is increasingly the sort of thing people expect from big brands. If motorcycling wants to continue to appeal to the American consumer it will need to change and adapt to how the consumer wants to interact. And ultimately, that is the message of all the suggestions made in this report: the world is ever changing, and if we want to be a part of it we will need to change, too.